Mold infestations of this magnitude require a large amount of controlled demolition. Anyone can simply tear down walls and ceilings in a Leominster house, but SERVPRO does it with care and neatness. It is crucial to prevent the debris and mold spores from scattering throughout the entire structure. 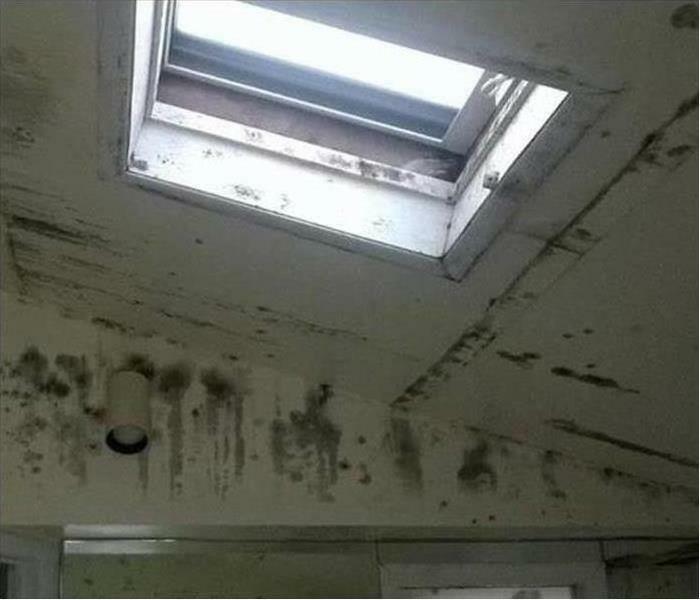 When we complete a mold remediation, you can rest assured of no future surprises. Fire touches everything. 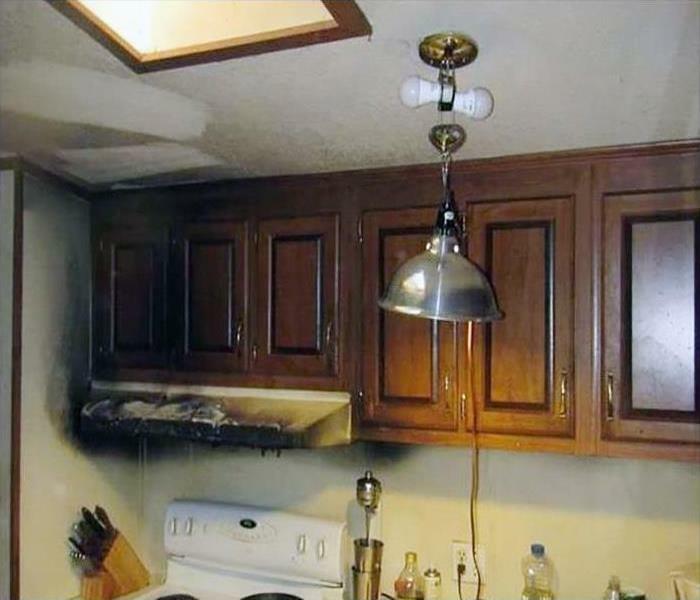 Even if items are not damaged by flames, they still can have smoke, soot, heat and water damage. SERVPRO has extensive training in cleaning fire damaged items so that you will be able to continue to use and enjoy them. 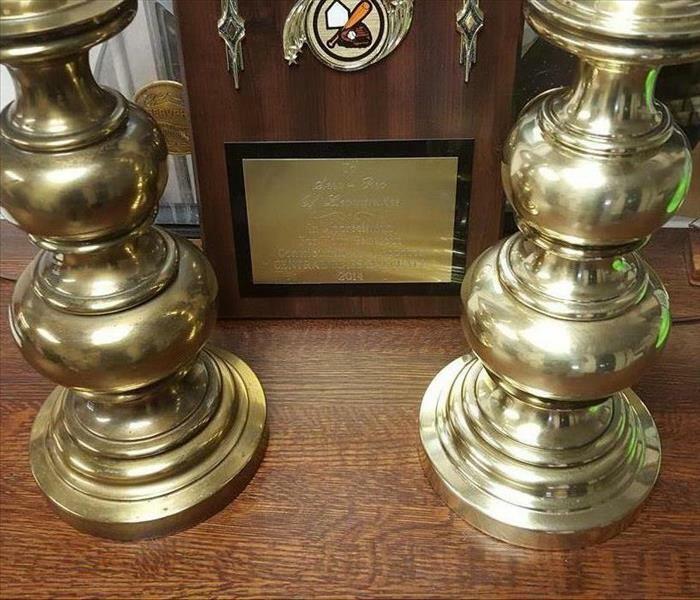 The lamp on the right was cleaned before the picture. Doesn't it look great? No one likes wading through water to get to their cubicle to start a day's work in Fitchburg. 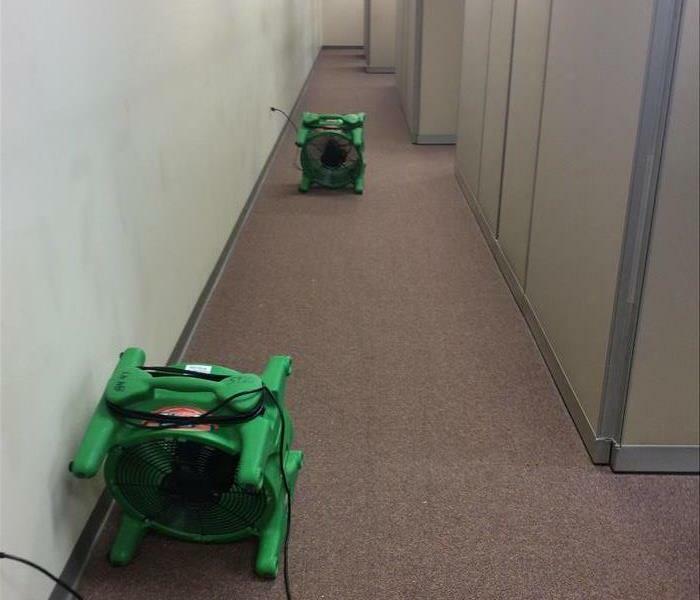 Managers often call SERVPRO, we are always ready to respond, to quickly vacuum up any water and set up drying equipment to keep the office functioning, almost with no disruptions. Count on us. 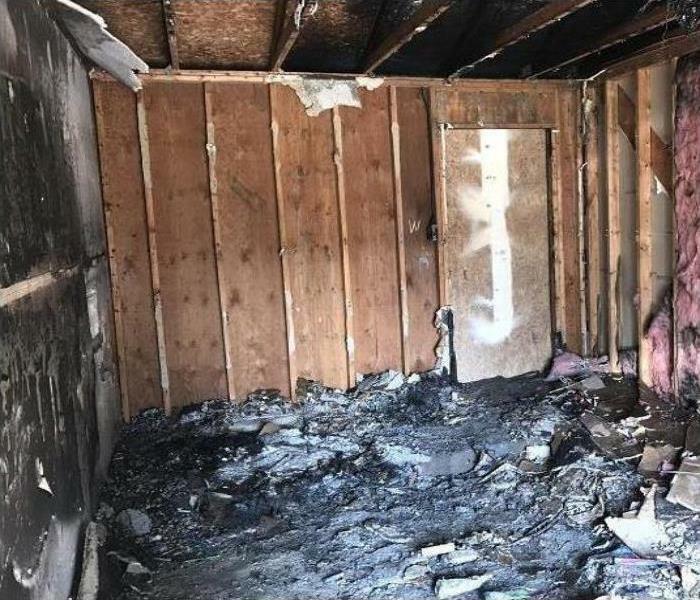 Our team at SERVPRO of Fitchburg-Leominster has you covered when it comes to fire damage repair and restoration. Our fire damage specialists are ready 24/7 to respond quickly to your emergency. Our crew has the experience, equipment, and training to restore your home to pre-damage condition. After a storm damages your home, you need a professional restoration company like SERVPRO to help you. Our storm damage experts are ready 24/7 and are highly trained. SERVPRO of Fitchburg-Leominster has the state-of-the-art equipment and storm damage experience to restore your home to pre-damage condition. 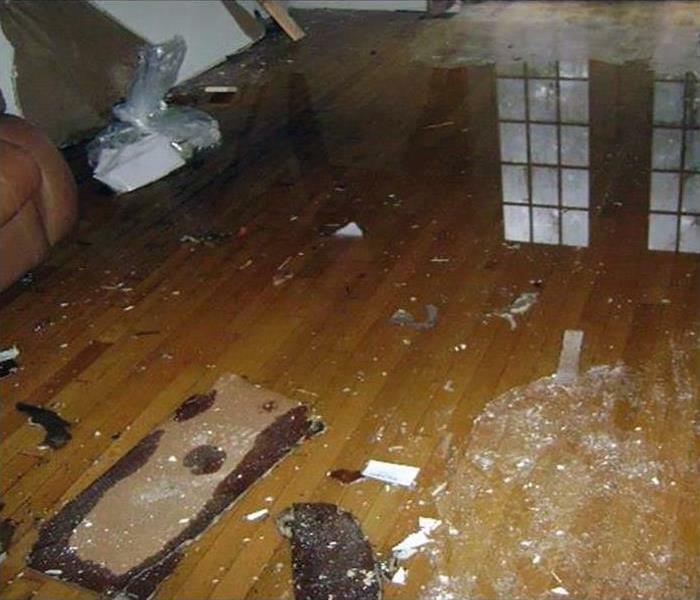 Within minutes water can destroy your home, and you need a professional restoration company like SERVPRO to help you. Our fast response will prevent mold growth, reduce your costs, and limit additional damage. SERVPRO of Fitchburg-Leominster has the state-of-the-art equipment, training, and expertise to restore your home to pre-damage condition. The stored petroleum products in this Fitchburg garage ignited, causing tremendous damage to the structure and toasted a car. SERVPRO always offers tips on fire prevention. Here is one. Store flammable chemicals safely as suggested by the manufacturers. Mold damage developed at this vacant Fitchburg commercial building. The building had been empty for some time, and the temperature and humidity were not controlled. 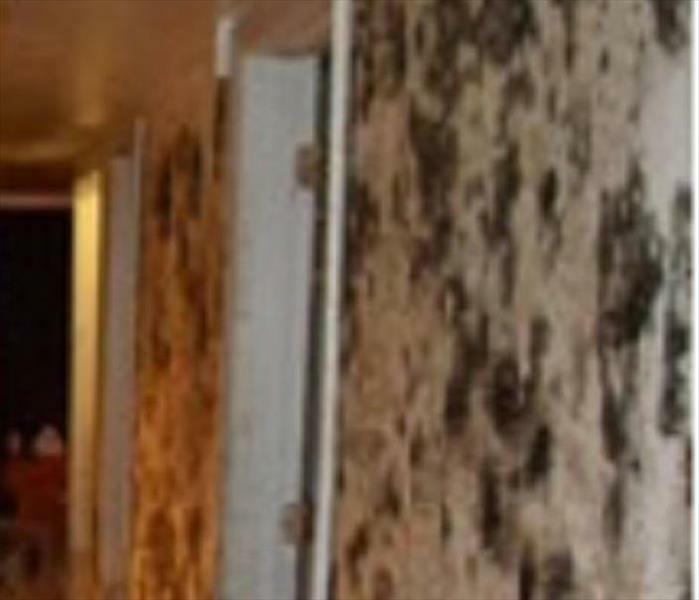 The high humidity levels led to the development of numerous mold colonies which can be seen in the before photo. 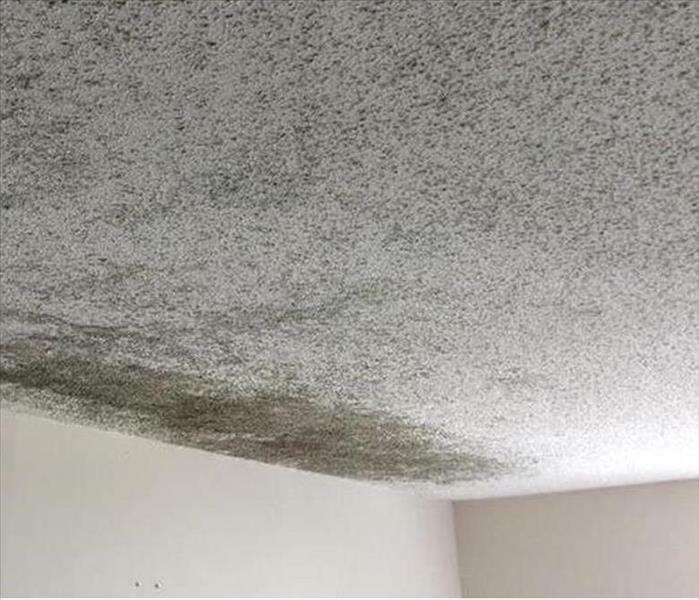 SERVPRO of Fitchburg – Leominster trained mold remediation specialists would need to demolish much of the mold-infested drywall from the walls and ceiling. Areas that could be restored would be cleaned by wiping down the surfaces with SERVPRO cleaning agents. Once clean the entire area would be treated with an antifungal solution to inhibit any future mold growth. Then the rebuilding process would begin. Pictured is a "Rover," a ridable water vacuum used in a Leominster basement. The weight of the SERVPRO technician helps compress the pile of the carpet and suction out more water, more quickly. Delamination of the carpet layers is crucial to saving the floor covering from the garbage heap. 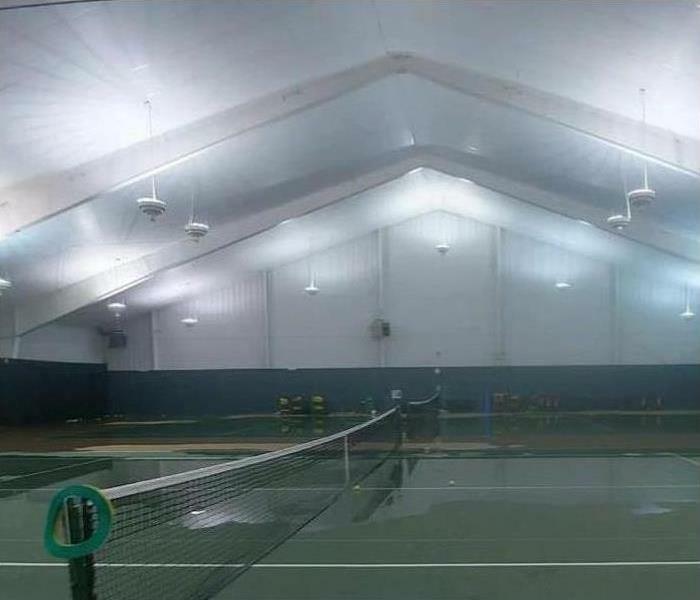 Storm damage at this Fitchburg tennis club left the courts flooded with thousands of gallons of water. The storm had carried high winds which damaged the roof of the facility allowing water to enter the interior. 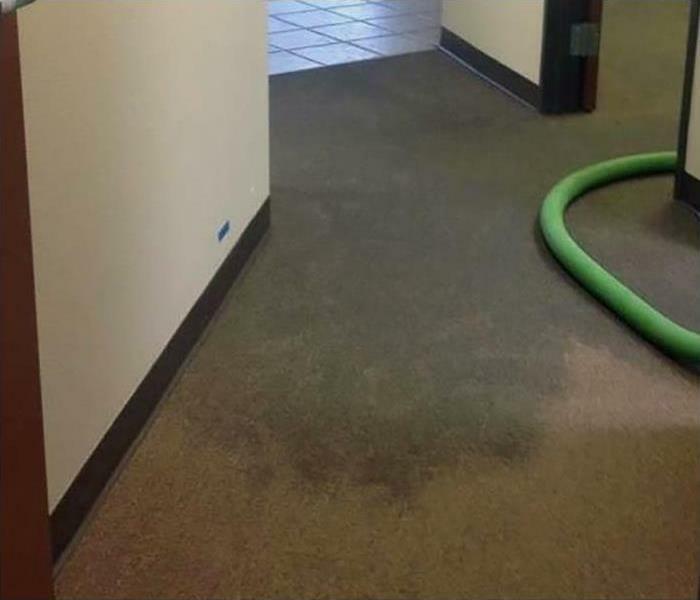 SERVPRO of Fitchburg – Leominster has both the right type of equipment and a sufficient supply of that equipment to handle a job like this. 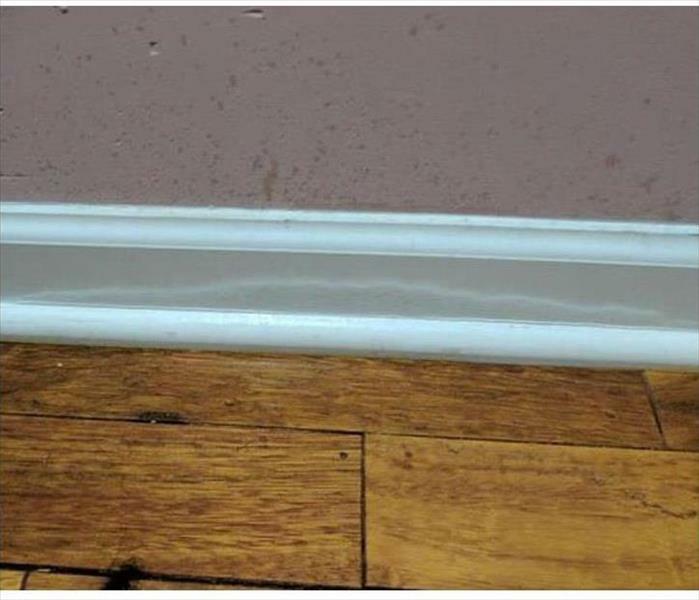 The wet floor wicked moisture into the wall cavity in this Sterling area home leading to a mold stain, shown here very visible. Since it was a small area, SERVPRO techs can scrape off the damage and preserve the drywall. A biocide completes this small job, kept small because of the diligent homeowner quickly calling professionals for the mold remediation. 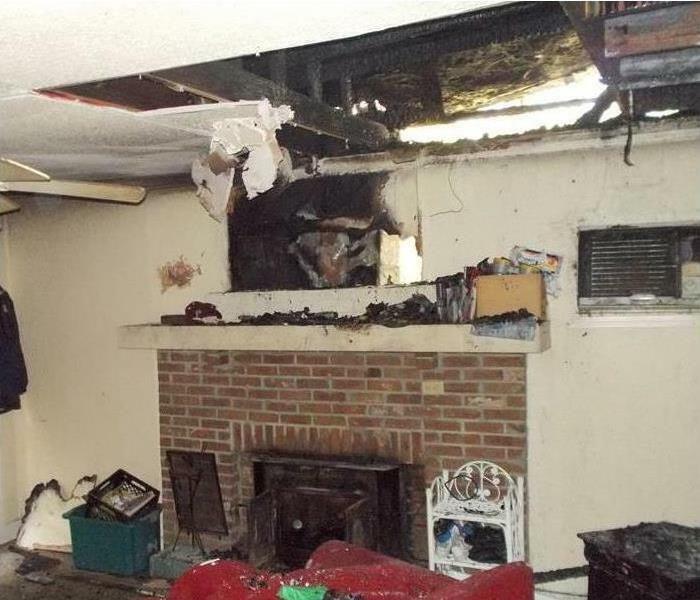 Fire damage to this Fitchburg home was primarily contained in a single room of the house. 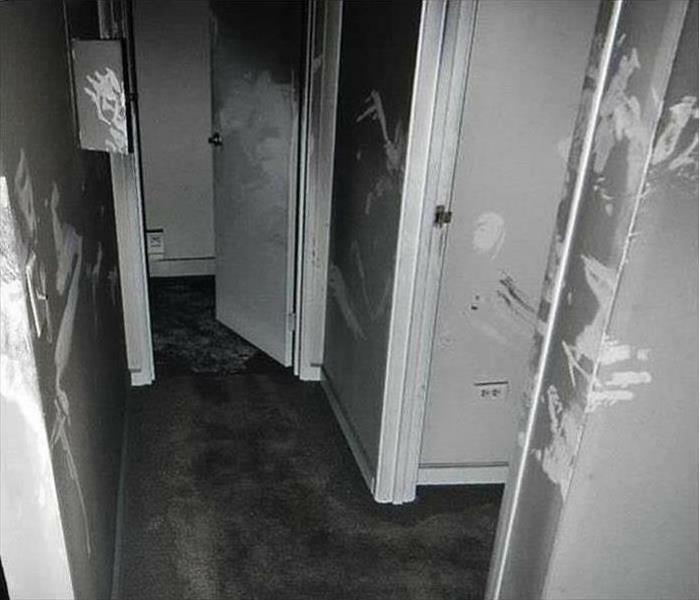 However, soot and smoke damage were prevalent throughout the residence as the photo shows. 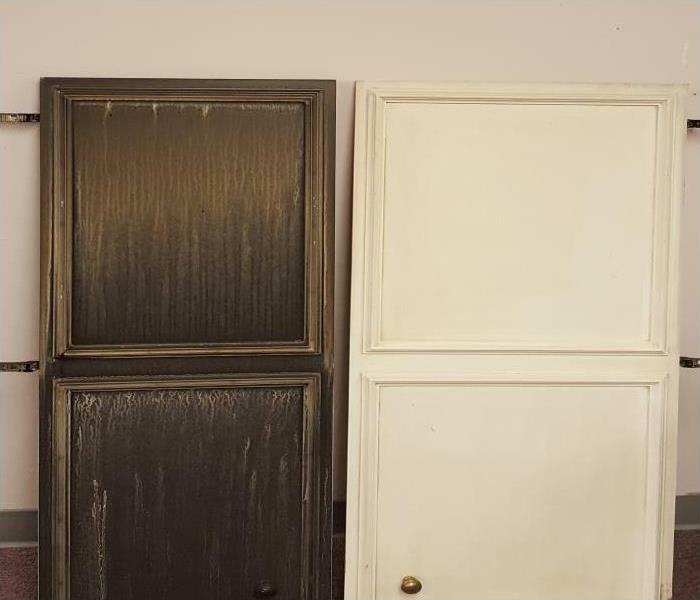 Soot and smoke residue need to be cleaned in a very specific way to prevent staining. 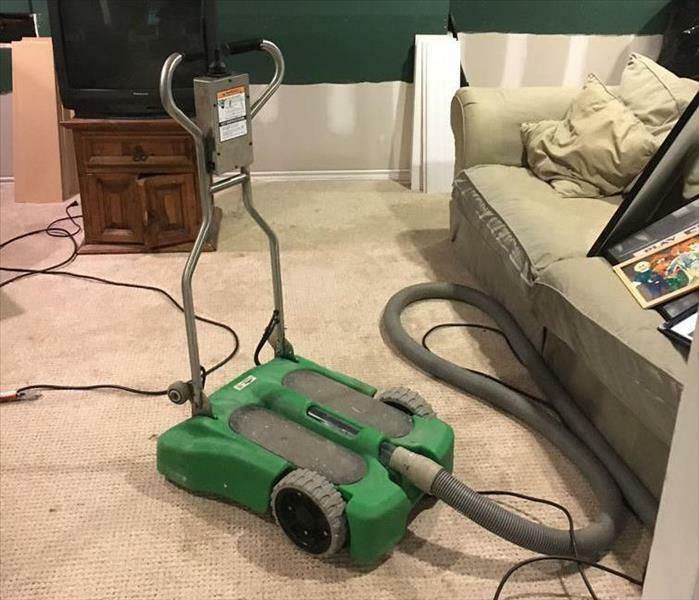 It is wise to select SERVPRO of Fitchburg – Leominster, with their many years of experience, to clean up the oily residue produced in a house fire. When water fuels dormant mold spores in a Sterling home, large and damaging colonies can develop. SERVPRO crews can remove and discard the drywall panels and then treat the wall cavities with an antifungal agent to exterminate remaining spores and fungi. 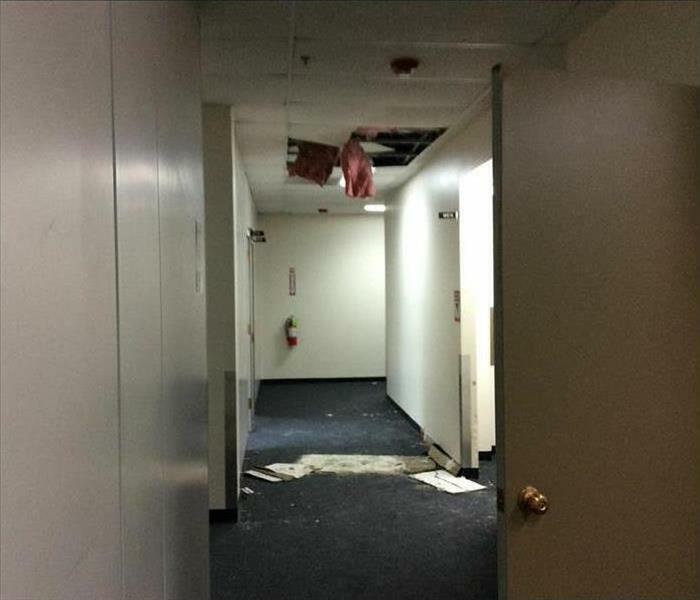 Water damage occurred at this Fitchburg office due to a roof leak. The insulation and drop ceiling tiles below the leak became soaked and heavy causing them to fall to the floor. SERVPRO of Fitchburg – Leominster would be able to repair the roof and clean up the damaged insulation and ceiling material. We would dry the affected area and treat it with an antifungal agent. Then we would replace the damaged insulation and ceiling tiles. 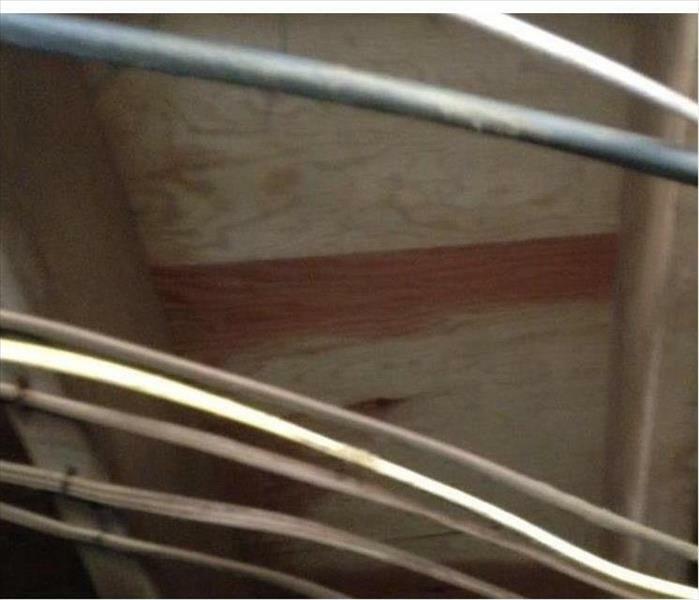 This structure in a Sterling property was victimized by a large mold infestation. 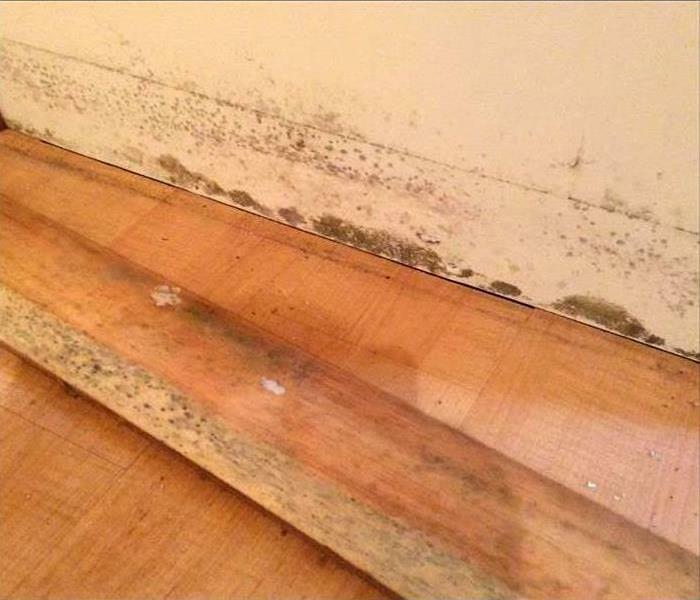 Moisture is always the catalyst that dormant mold spores need to grow into large patches. 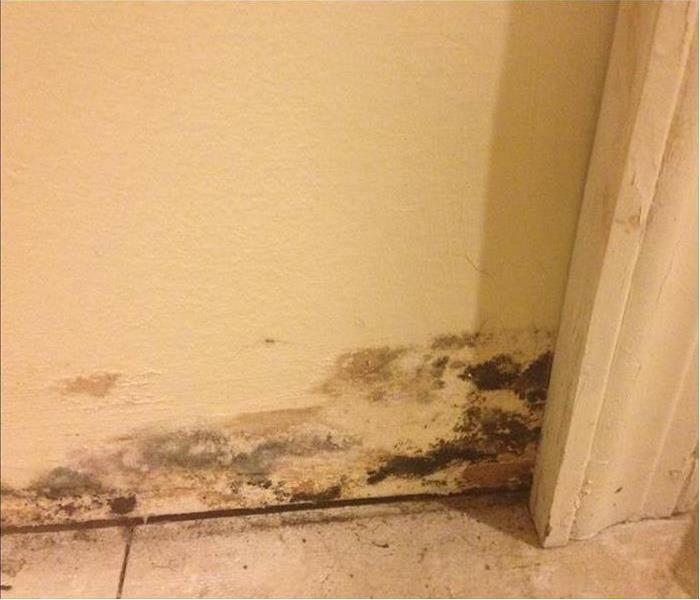 Rely on SERVPRO to assessment the mold remediation process and to secure another satisfied customer. 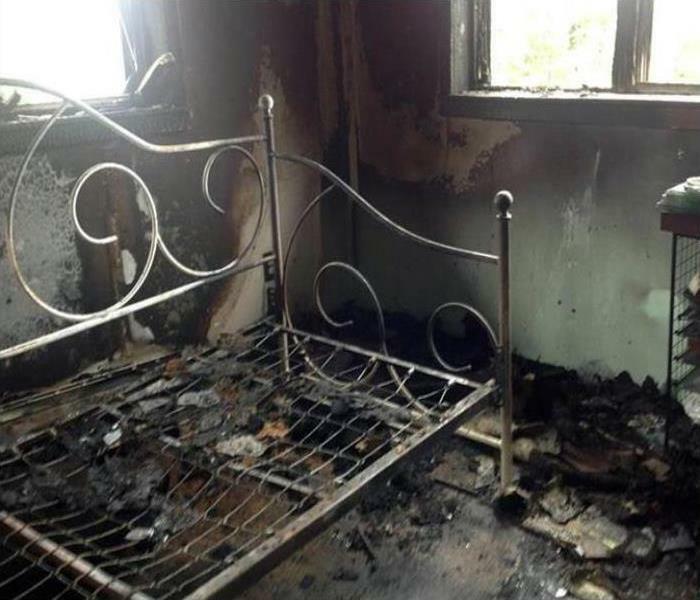 When soot, smoke, and fire damage your home the team to call is SERVPRO. Our team is available 24/7, and we are certified by the Institute of Inspection Cleaning and Restoration Certification in fire restoration. We will respond quickly to reduce your restoration costs and limit the damage. SERVPRO of Fitchburg-Leominster has the training, hands-on experience, IICRC certifications, and equipment to restore your home to pre-damage condition. 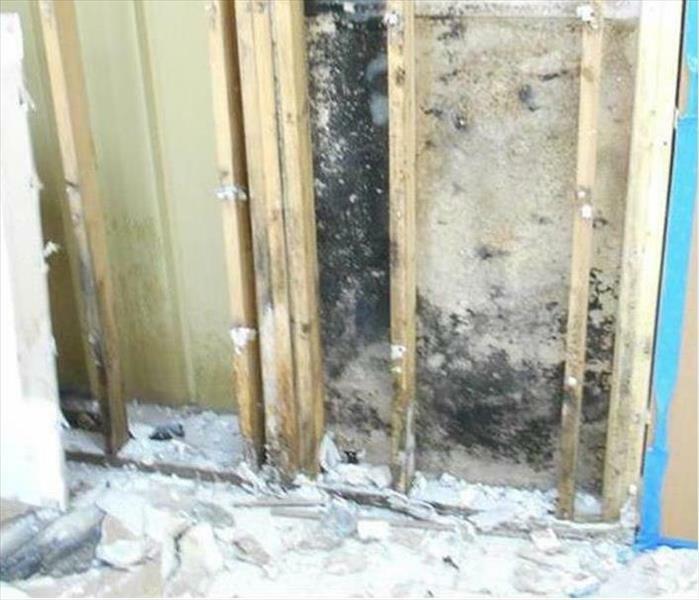 Water and wind can destroy building materials like sheetrock requiring a partial demolition. Whether in Leominster or the surrounding areas, SERVPRO technicians have the knowledge and experience to get the job done right. 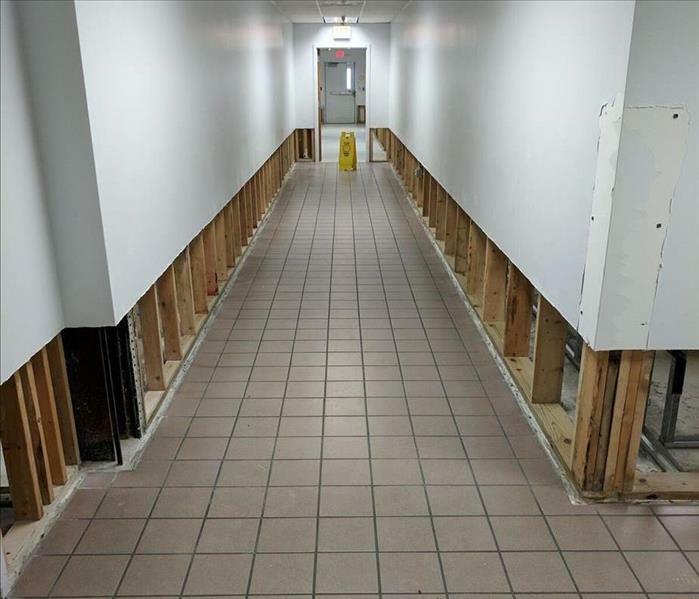 When contaminated flood waters infiltrate a commercial structure in Leominster, a "flood-gut" is often the result. SERVPRO can cut out and dispose of the degraded and hazardous drywall material to dry out the walls and studs. Done neatly, the rebuild to a preloss condition is easier and less expensive to the proprietor. Moisture that invades the exterior walls of commercial structures in the Fitchburg area can develop mold problems. 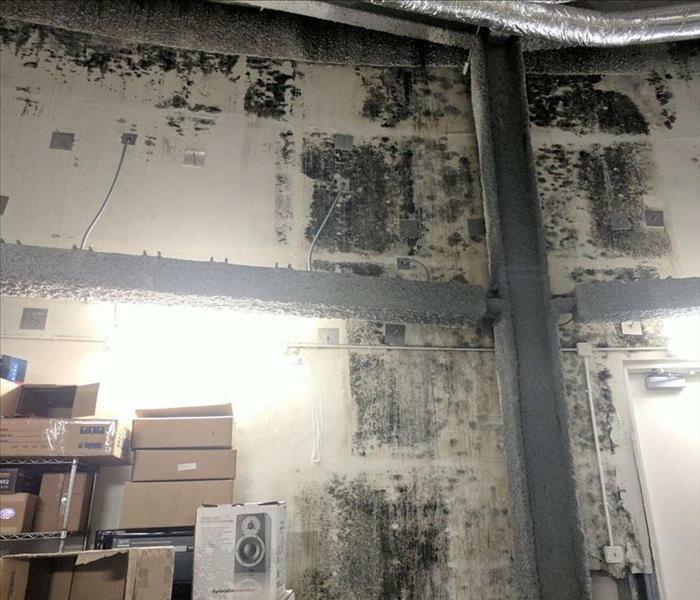 These mold problems can be remediated with SERVPRO's expert technicians utilizing HEPA air scrubbers to capture airborne debris during the scraping and wiping processes. Rely on us to protect your inventory from further damage. 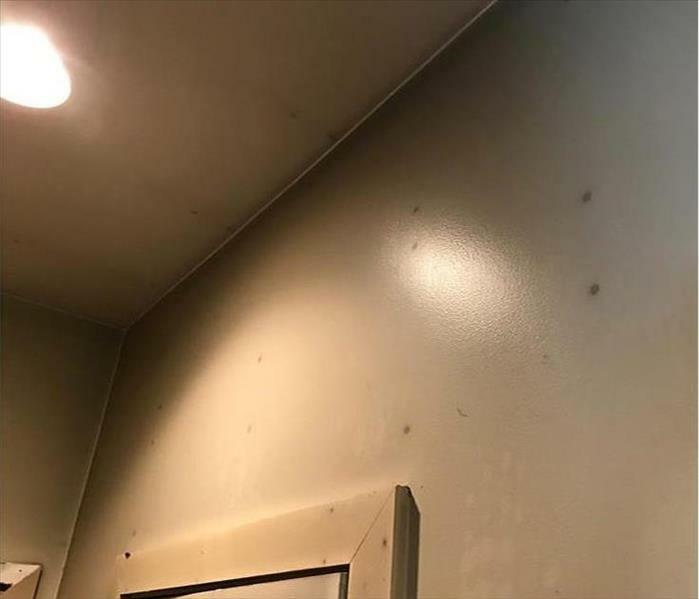 The heat from this fire in Harvard resulted in the marks from the nailheads showing through the drywall. The smoky residue on the room surfaces needed special wiping down to minimize smearing allow for an easy repainting of the affected area. Ice-blasting is a SERVPRO technique for removing mold colonies from raw wood like in this Sterling attic. A carefully controlled environment is needed by establishing containment barriers to prevent the mold dust and spores from circulating to clean areas of the house. But, this is a neat and cost-effective method for mold remediation. The stormwater pooled on and wicked into the hardwood planks, baseboards, and drywall panels in this Sterling house. 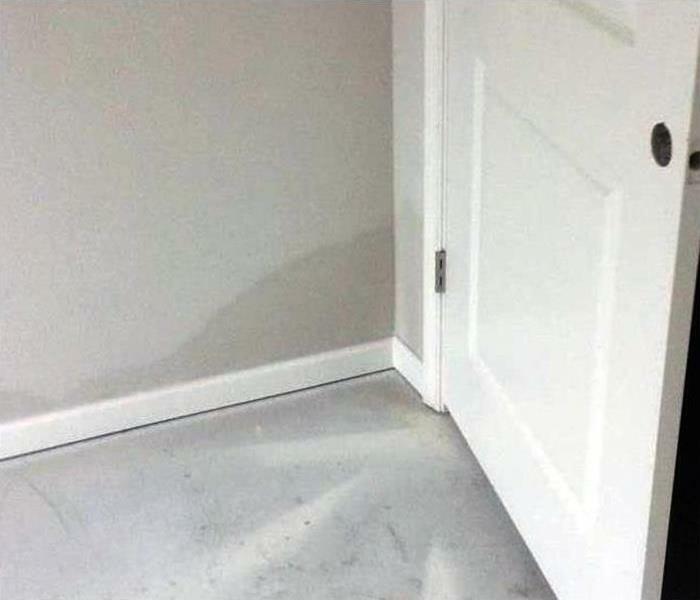 SERVPRO can remove the water to prevent further damage. Call us for help and a positive result. 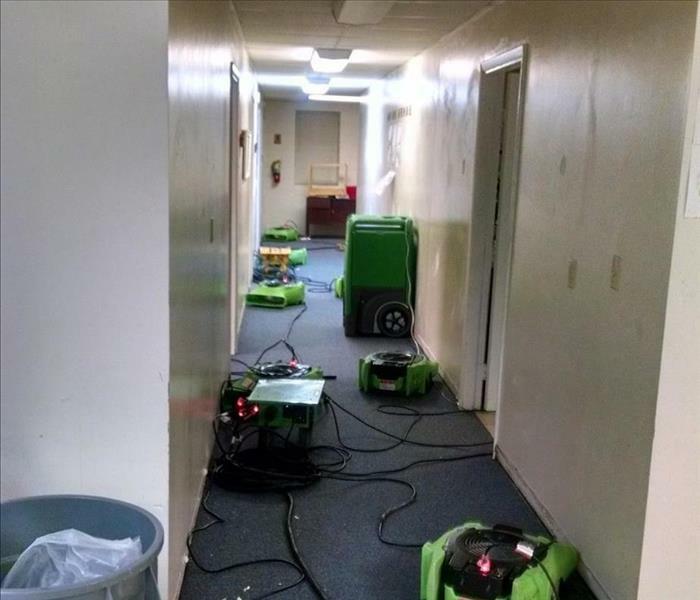 Commercial water damage was experienced at this Leominster office facility due to the sprinkler system inadvertently activating. 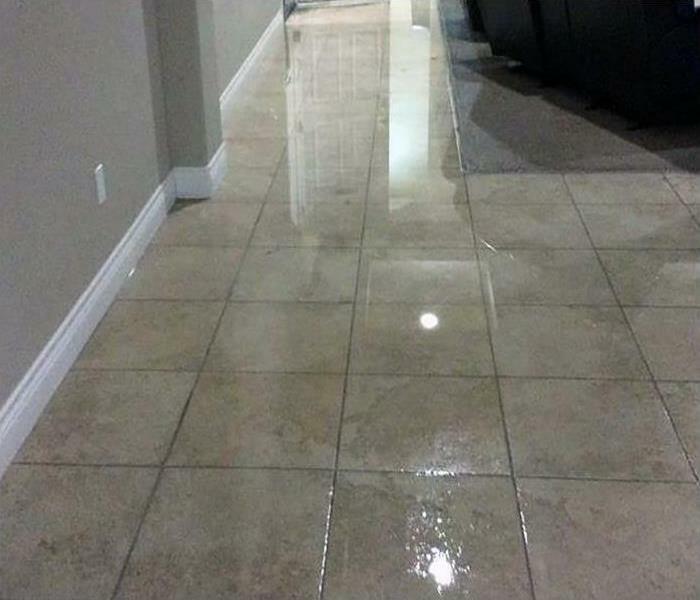 The incident left standing water in the pictured hallway. Our technicians would suction up the water and then set up commercial air movers and dehumidifiers to aid the drying process. 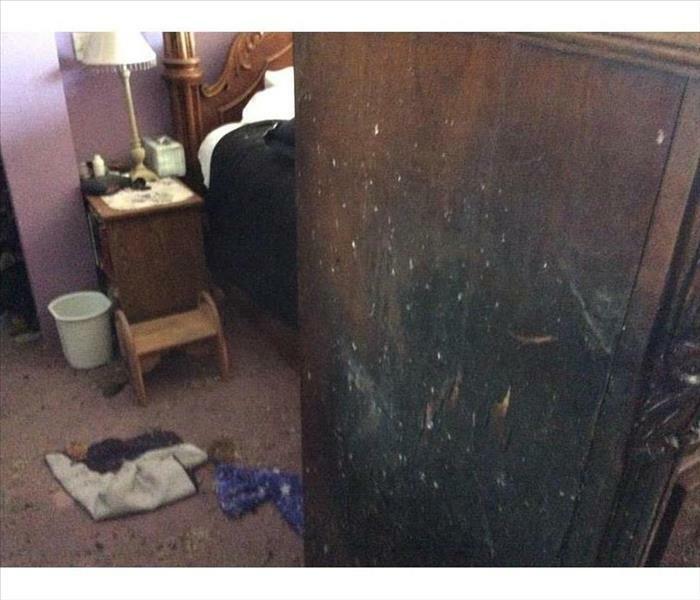 A space heater was the cause of fire damage to this dresser in a Sterling house. The piece was discarded as per the customer's wishes, but the smoke odors needed some work. A hydroxyl generator to neutralize noxious compounds and a light fragrance spray did the trick. 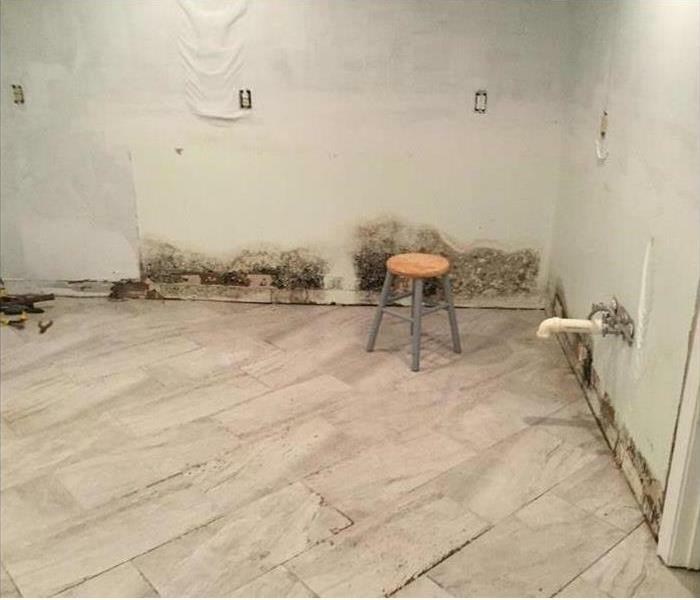 The failed plumbing in this Fitchburg insurance agency needed some swift water removal to salvage the furnishings, electronics, and files. 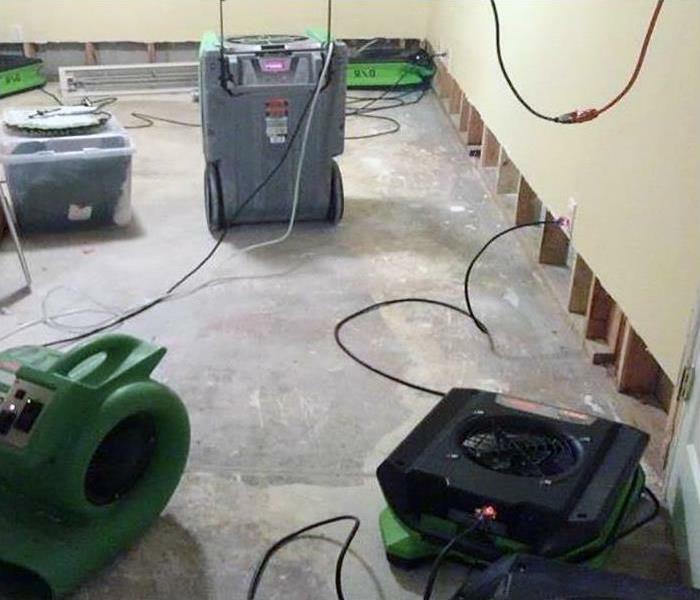 After removing the water, our SERVPRO techs placed drying equipment to eliminate the excess moisture from doing more water damage. The mold patches on this Leominster popcorn textured ceiling was caused by a leak in the attic. 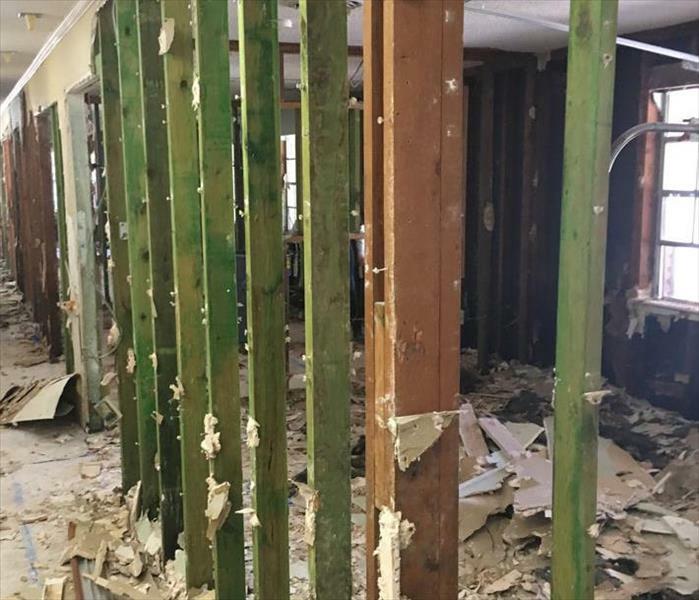 The drywall material was more severely damaged than depicted in this photo and a demolition of the affected area was needed. Our SERVPRO AMRT team members can handle this easily and restore the home to its preloss condition. 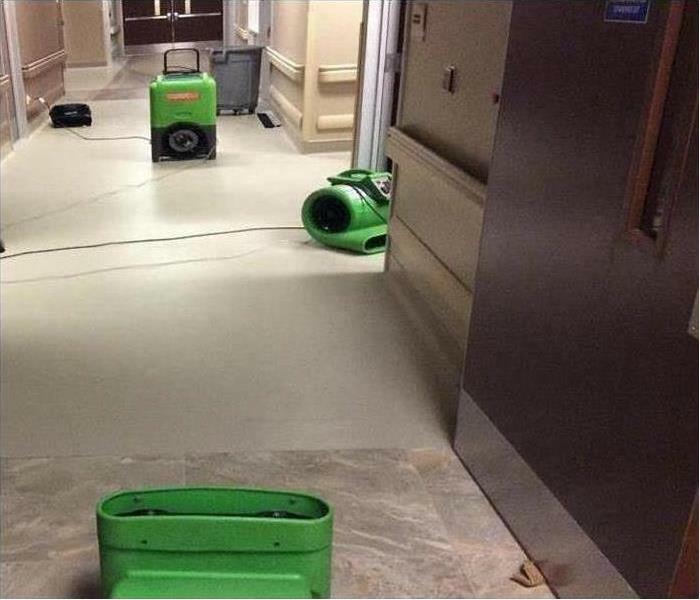 When large commercial storm and water damage happens in the Fitchburg area, SERVPRO can respond quickly. 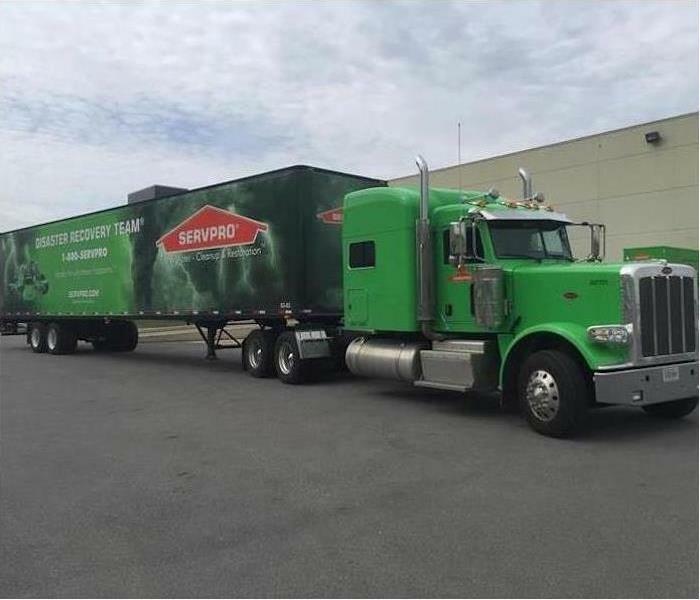 Our slogan is ”faster to any disaster” because we have access to the SERVPRO Disaster Recovery Team on an immediate basis. Storm damage in Fitchburg sometimes leaves the affected areas without convention power sources. 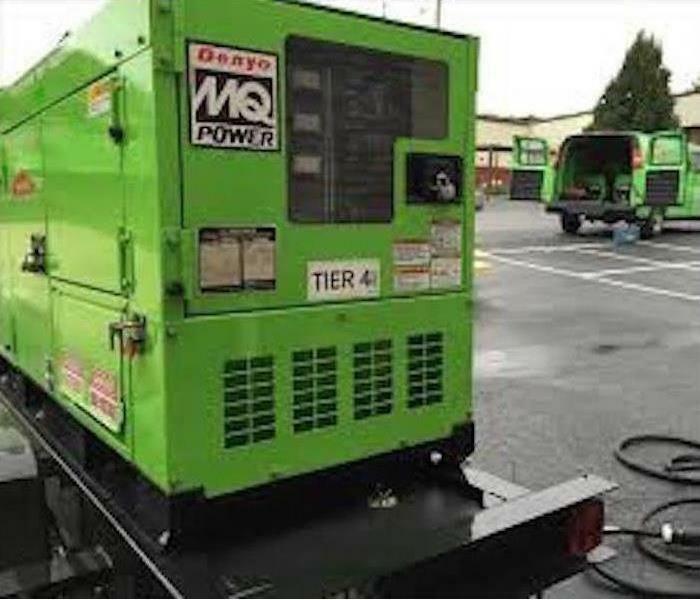 SERVPRO of Fitchburg – Leominster can provide temporary power with portable industrial generators like the one in this photo. 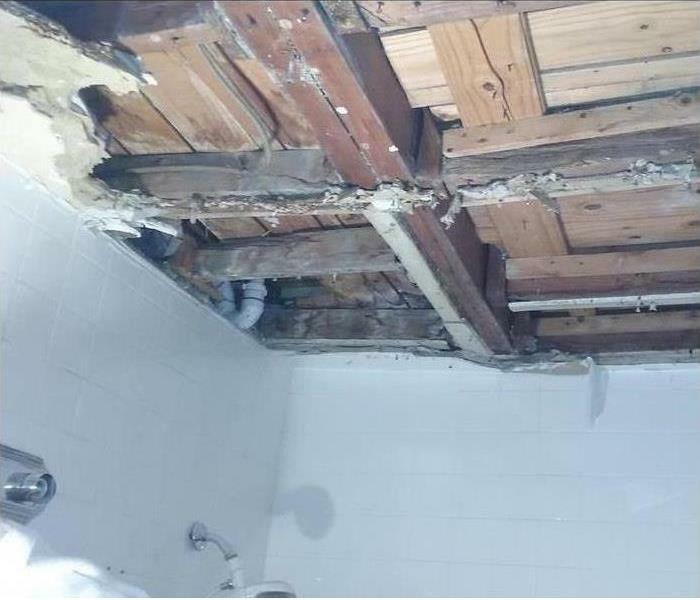 The water damaged ceiling in this Harvard bathroom needed a partial demolition after the leakage endangered the occupants. The exposed building elements were sprayed with antimicrobial agents by our SERVPRO technicians before the rebuild could begin. The faulty flue in this chimney led to a significant amount of fire damage to this Sterling living room. Our SERVPRO crew first placed a tarp over the exposed roof to prevent secondary water and the possible entry of vermin. The cleanup was then begun within the structure.